...This is a 21st century Cane. In the spirit of Esi Edugyan’s Half-Blood Blues...These characters don’t tell us who they are; rather, through bombs, cymbals, and unrelenting desire we come to know them...I found myself thrust into 1918 France, unable to put this book down until all of the smoke and band and love songs momentarily fell hushed. Remembrance is an anthropological dig of a tale that invokes Alice Walker, Kamau Brathwaite and John A Williams. It tells a tale that is heroic and magical. A love story, a war story, a story of persistence and grace, Remembrance takes readers back in time to the First World War and the famous all-black Harlem Hellfighters band and infantry in meticulous detail. It is a story steeped in African-American culture and history that never ceases to amaze with its ability to be both inspiring and uplifting. Digital and print galleys available upon request. H. Buchanan is a writer/producer/director/composer and a national fellow (Society for American Music). A literary executive (Pure Land, 2019), Buchanan is the Executive Producer of two upcoming films, Solomon and When the Swan Sings on Hastings, for which she also directs. A former Books Director for Look at Flatbush, an NYC media outlet, Buchanan’s work appears in print and digital publications, including MÖBIUS and The Blood Jet Writing Hour. She is the owner of an independent press (Aquarius Press) and producer of the Willow Books LitFest. A past COO for the Wayne County Council for Arts, History & Humanities, Buchanan is the Director of the Paradise Valley Idlewild Heritage multimedia project. She is the Executive Producer of The Remembrance Project, a centennial print, film, and musical tribute to the Harlem Hellfighters Band and host of the Love, War & Jazz podcast. 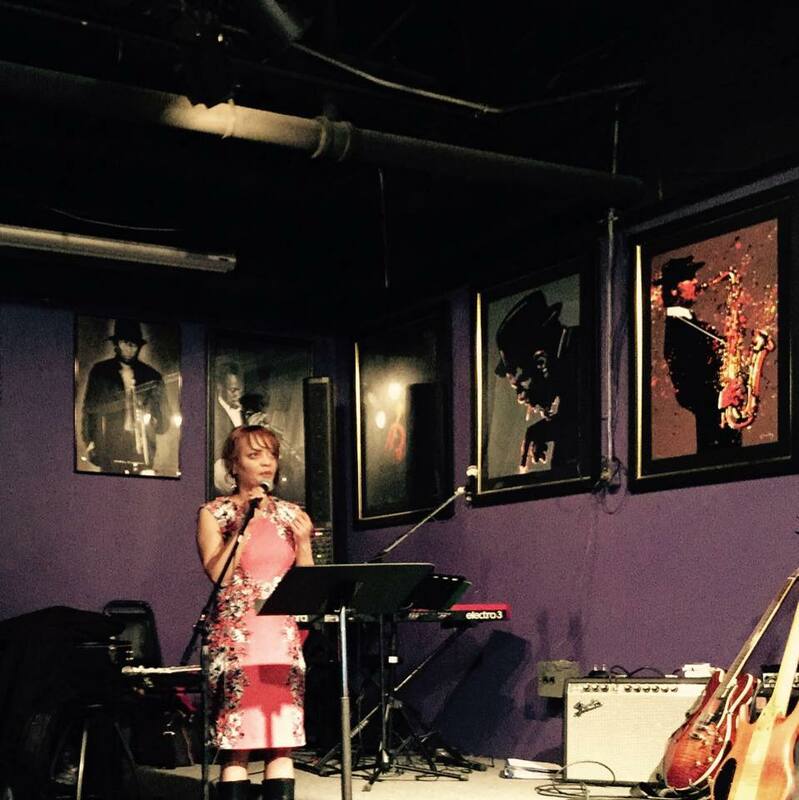 Tracy Kash began her musical life as a classical musician. Armed with a Bachelor’s degree from University of North Texas – a veritable jazz factory producing musicians such as Lou Marini, Nora Jones, and Stefan Karlsson – and a Master’s degree from the venerable Boston Conservatory, Tracy is an accomplished flutist. Add her impeccable songwriting, arranging and production talents to the mix and it is easy to see why she is an established musician’s musician in her native Detroit, where she currently lives, as well as in her previous hometown, New York City. Her unique brand of jazz and jazz-influenced rock/pop thrills live audiences as well as her growing radio following. Tracy sings, plays flute, and writes/arranges for the Nighthawks Jazz Orchestra, a dectet featuring music by Michigan composers and arrangers. She also writes for a wide variety of television and film projects. 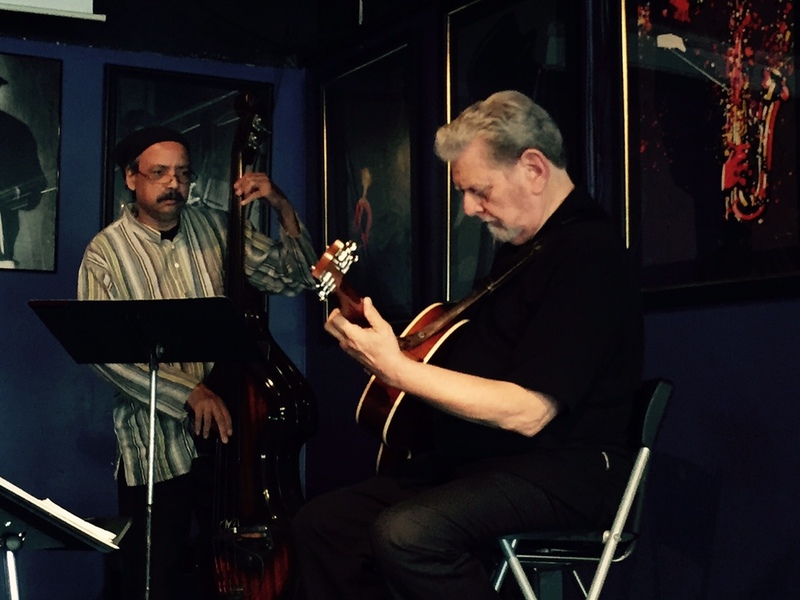 Jazz guitarist Ron English has enjoyed a long and varied music career, with roots wide and deep in blues, Broadway, bebop, avant-garde, funk, Motown and gospel. Along the way, Ron contributed the guitar solo on a classic blues rock “nugget,” the Woolies’ 1967 cover of Bo Diddley’s Who Do You Love? He joined the Detroit Contemporary 5, led by trumpeter Charles Moore, in the mid-60’s. In the 70’s, Ron played with some of the later expanded editions of the Contemporary Jazz Quartet, led by Charles Moore and pianist Kenny Cox. From the 70’s into the 90’s, Ron toured and recorded with Michigan jazz artists Lyman Woodard, Phil Ranelin, Wendell Harrison, Kenny Cox, the Jimmy Wilkins Orchestra, the Austin-Moro Big Band, and Eddie Russ, with whom he toured Europe. He also toured as a backing musician for the Four Tops, Martha Reeves & the Vandellas, and the Supremes’ Mary Wilson, and recorded with Gladys Knight and the Pips. He made much of his living for a number of years in the pit orchestras for the Fisher Theater and others, backing Broadway musicals and pop acts. Ron English currently teaches guitar, jazz theory and ensemble classes in the Continuing Education program at Marygrove College. He previously taught in Jazz Studies programs at Oakland University and Michigan State University. Director, Instrumentalist. Ray is an actor, director, and producer. He has appeared in feature films such as Sparkle with Whitney Houston and Jordin Sparks. Ray is the producer of Sunday's Gospel Showcase and produced a Gospel CD, Dr. E. Laquint Weaver and the Hallejuah Singers. He has worked with numerous artists, including Dottie Peoples, Shirley Caesar, The O'Jays, Kim Weston, Harold McKinney and Obie Benson of The Four Tops. Recent directorial credits include A Raisin in the Sun, for which he is planning a revival. He has also served as a drama instructor for the internationally known Detroit Opera House and is a Grammy® Award nominee. Ragtime Pianist. Taslimah Bey is a renowned ragtime pianist who works to preserve this musical legacy. Thomas Galasso is a local writer/actor/musician and teacher who was born and raised on Detroit’s east side. He has a Master’s Degree in English from Marygrove College, an English teaching certificate and a special education certificate in Autism Spectrum Disorder from Wayne State University. Currently he holds an adjunct position in the English Department at Marygrove College and is a teacher of students with ASD for the Detroit Public Schools. Originally, Thomas began work on his novel, When the Swan Sings on Hastings as a one-act play that was performed at Detroit’s Northern High School with his Drama class. In 2008, it was performed as a staged reading at Marygrove College’s Drama Fest. Since then, the work has morphed into a novel about the last days of Hastings Street, 1956 Detroit. The story is about displacement, and the decimation of a major, cultural center of the city. Thomas has written and is currently working on a series of short stories about “working Detroit” from his experiences on the assembly line to working in a meat packing plant, a hospital and waiting tables in the Motor City.